Microsoft has invited chairman Bill Gates to deliver the keynote address at its Research Faculty Summit later this month. Microsoft chairman Bill Gates will deliver the keynote address at a Microsoft research event later this month, the first time he has done so in eight years, Microsoft said. Gates will speak at the Microsoft Research Faculty Summit, and is scheduled to address "the role of computing in solving global problems," according to Microsoft. He then will take questions from the audience. This is the first time Gates has spoken at the Summit since 2005. 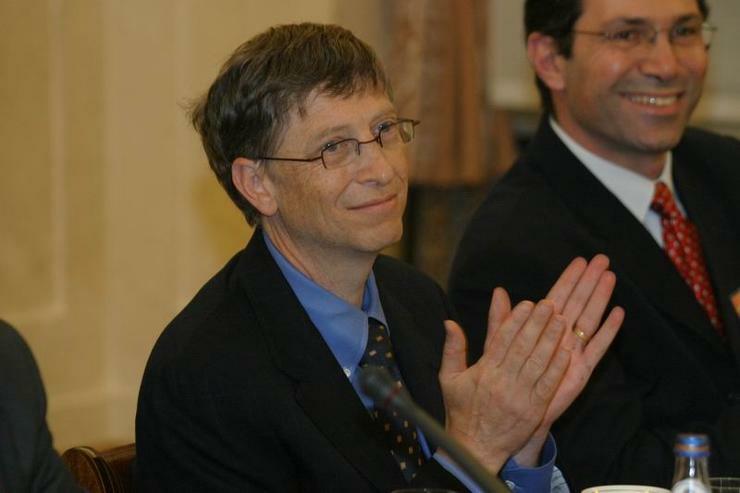 In 2008, Gates stepped down from his day-to-day post as chief executive at Microsoft to run his charity, the Bill & Melinda Gates Foundation, with his wife Melinda French Gates. His foundation focuses on initiatives to improve global health and literacy, while addressing other problems through technology and other means. Gates's last speech at Microsoft is viewable on YouTube; since then he has made few appearances for his former employer. The Faculty Summit will present research from within Microsoft and elsewhere on the topics of software engineering and quantum computing, plus combating Internet fraud, refining prediction engines, and using social media during crises, Microsoft said. "Computing has changed the world--from online shopping, to social media, to big data analyses of, well, just about everything," Stewart Tansley, the co-chair of the Faculty Summit, wrote in a blog post. "The rate of computing-driven change continues unabated, and we find ourselves wondering: what are the hot trends and burning issues in computer science research today?" As for Gates himself, Gates Notes serves as his personal blog, where he reviews books, describes his trips, and provides more personal details of what his foundation is working on. Gates participated in an "Ask Me Anything" with Reddit in February, where he answered questions from the Reddit community. Gates revealed during the AMA that the product he would have most liked to ship but didn't was the WinFS file system originally slated for Windows Vista and that he currently uses a Surface Pro and a Perceptive Pixel massive touchscreen display.